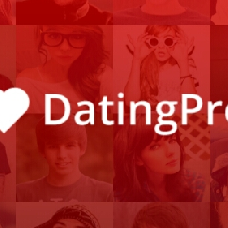 Mobile version has always been an important part of the Dating Pro script add-ons catalogue. Mobile version is a supplement to the website that contains the most important features like viewing profiles and messaging, etc. It opens when visitors access a site from their mobile devices, and it is basically a miniature dating website. When mobile applications started to grow popular, we decided to create mobile apps based on this mobile version of the site, with the help of a popular cross-platform framework. This way, we had two hybrid apps, one for the Android, and the other one for the iOS platform. The colour scheme and the logotype of the app can be easily changed to match the customer’s brand. The hybrid apps did not meet all of our requirements, though. So we decided to build native apps that would be able to interact with and take advantage of the operating system of the mobile device. It includes the use of a camera, GPS module, Push notifications, and many other opportunities. We are by no means finished here, and we continuously improve the looks and the functionality of the Android app. Next on our plan of improvements is the in-app billing feature, along with the other improvements. Emmanuel Okeke is one of our first customers who use the native Android app. Mr. Okeke’s app has made it into the list of the most popular dating apps in Nigeria. Read an interview with Emmanuel where we discussed his dating service called Friendite.com in the Dating Pro blog. We’ll be glad to hear your thoughts and improvement ideas.